Celebrated British wine critic, Jancis Robinson once remarked that "Margaret River is the closest thing to paradise of any wine region I have visited in my extensive search for knowledge." Not only does it combine all the best qualities for viticulture and produce sublime Chardonnay and Cabernet Sauvignon, but it's also downright beautiful! To help plan your trip to this internationally renowned wine region, we've selected a collection of Margaret River wineries that provide the best cellar door experience, plus we've included a handy interactive map down below. Wine Selectors Tasting Panellist, winemaker, and wine show judge, Dave Mavor, is certainly a fan of the region, "Margaret River blows me away every time with the incredible quality of its wines." "One of the reasons for its success is the Mediterranean-style climate, which means it doesn't experience extremes in summer and winter, ensuring superb growing conditions. With the addition of thorough viticulture and winemaking practices, you have what it takes to produce consistently high-quality fruit, resulting in many award-winning wines," Dave explains. Located down a dirt road in the northwest of Margaret River's famed Wilyabrup sub-region, Arimia is home to a small organically farmed vineyard, kitchen garden, and a cellar door restaurant. There's a great range of wines available on their tasting menu that encompass both Margaret River classics and emerging alternative styles to enjoy while you learn more about organic farming and winemaking practices. The excellent restaurant has a fantastic menu with ingredients sourced and produced on the property for a complete estate experience. Swings & Roundabouts is arguably the hippest winery in W.A. with a great restaurant, blaring music, cosy open fires, and an expansive lawn to spend an afternoon in the Sun. The wood fired pizza and rustic Mediterranean-inspired restaurant menu matches perfectly with the excellent range of wines available to sample. And, if you're based in the township of Margaret River during your stay, then make sure you also visit the Swings & Roundabouts Taphouse. This funky restaurant and bar is the perfect place to unwind after a busy day visiting the Margaret River wineries with a spectacular range of wines available to sample on tap. Yes, you read that correctly. You can learn more about some of the benefits of keg wine here . Located in the picturesque Willyabrup Valley, Hay Shed Hill produces single vineyard wines that express the character of this outstanding Margaret River site. There are over 25 wines available to sample, from classic Margaret River Cabernet Sauvignon and Chardonnay through to emerging alternate varieties such as Malbec and Tempranillo - all are perfectly matched to the Mediterranean tapas available in the Rustico at Hay Shed Hill restaurant. And, if you're a cheese lover then you're in luck, as Rustico have what might be the largest selection of European cheeses in the South West! Less than five minutes drive from Margaret River's famous beaches, the Howard Park cellar is the perfect place to unwind after an early morning surf or swim. This striking modern cellar door is set on 138 hectares of native bushland, surrounded by the region's iconic marri and karri trees and spacious lawns where you are able to borrow a blanket or bocce set and enjoy a glass or bottle of wine under the West Australian sun. You'll have the unique opportunity to sample and compare wines from both Margaret River and Great Southern wine regions, with excellent wines featuring grapes sourced from Howard Park's four individual estate vineyards. Nestled on the ridge of Yallingup and only 10 minutes from Dunsborough, the Killerby Wines cellar door is home to picturesque views over the Wildwood Valley on Caves Road. A visit here will allow you the chance to immerse yourself in the history of the family in the region over the past 90 years and an opportunity to taste the premium range of award winning wines. With sweeping views across the vineyards and Wildwood Valley, the Tuscan style Cellar door and terrace is the perfect setting to bring a picnic lunch and enjoy our wines on the large lawn area. Nestled on a hilltop amongst a beautiful vineyard with views over an idyllic lake, sits the Hamelin Bay winery and cellar door. Hamelin Bay's wines are estate grown and, with 11 Royal Show Trophies and medals too numerous to count, they have built a reputation for producing wines of distinction. Sample their spectacular wines accompanied by a platter of local produce, while you relax outdoors on the verandah. Bill Ullinger, an ex-Lancaster Bomber pilot, established Redgate in 1977. As for the name Redgate, in keeping with Bill's character, there was once a property close by that had a reputation for producing very good moonshine. In recognition of the service that this farmer offered the community, Bill named his property and wines after the infamous red gate at the entry of that property. This picturesque cellar door is the perfect place to sample the exquisite (and highly awarded) Cabernet Sauvignon and oaked Chardonnay. Cesar Credaro's first foray into winemaking was to provide wines for the family table and those of his friends family's after arriving in Margaret River in 1922. 90 years later, Cesar's legacy of sharing excellent wines with friends and family, lives on at the charming Credaro Family Estate. With sweeping views across the vineyards and Wildwood Valley, this Tuscan style cellar door and terrace is the perfect setting to bring a picnic lunch and enjoy our wines on the large lawn area. 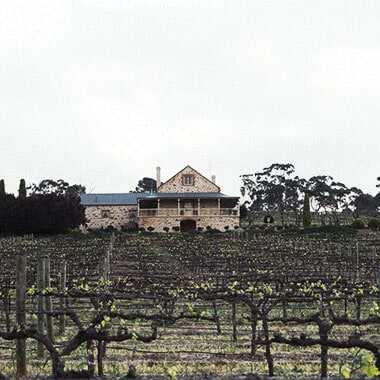 When Dr. Tom Cullity planted the first Cabernet vines in 1967 at Vasse Felix, Margaret River arguably got its start as a premium wine region. Today, this extraordinary estate and architectural marvel of a winery is a must visit during any trip to the region. With a famed restaurant, cellar door, wine lounge and a gallery brimming with one of the nation's largest private art collections, Vasse Felix is a destination in and of itself. Make sure to book one of the behind the scenes winery tours, that operate during the week, to learn more about how premium Australian wines are crafted. 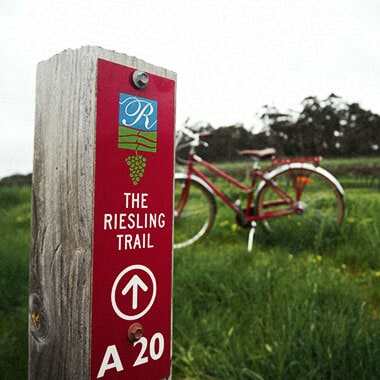 Planning a trip to Margaret River? Download our interactive Margaret River winery map. To save on your browser or device, click here. For more information on visiting Margaret River, be sure to visit the official Margaret River region website or stop by the Margaret River Information Centre in the centre of town. But, if you'd like to sample some of the wineries listed in this guide before you visit, explore our wide selection of Margaret River wines and find out more about the wineries listed here in our Meet the Makers section . And, with the Wine Selectors Regional Release program , you'll experience a different wine region each release with all wines expertly selected by our Tasting Panel, plus you'll receive comprehensive tasting notes and fascinating insights into each region. Visit our Regular Deliveries page to find out more! Steve (Serafino) Maglieri arrived in Adelaide in 1964 as a teenager from Italy with little more than a passionate dream to make great wine. After many highs and a few lows in the wine industry, eventually the Serafino label emerged and the Maglieri family was able to craft their own piece of paradise amongst the gumtrees of their McLaren Vale winery. The warm, friendly and familiar ethos of Serafino is evident in the cellar door, charming restaurant, and four-star accommodation. As such, it is the perfect place to base yourself during a weekend getaway. There is a great range of Italian and alternative varieties such as the Bellissimo series of Vermentino, Fiano and Montepulciano through to reserve Grenache and Shiraz. Kangarilla Rd, McLaren Vale – view on our McLaren Vale winery map Open Daily 10 am to 4:30 pm Visit the Serafino website Mclaren Vale Winery Map Planning a trip to McLaren Vale? Download our interactive McLaren Vale winery map. To save on your browser or device, click here For more information on visiting McLaren Vale, be sure to visit the official McLaren Vale region website or stop by the McLaren Vale & Fleurieu Visitor Information Centre in the centre of town. But, if you’d like to sample some of the wineries listed in this guide before you visit, explore our wide selection of McLaren Vale wines and find out more about the wineries listed here in our Meet the Makers section . With the Wine Selectors Regional Release program, you'll experience a different wine region each release with all wines expertly selected by our Tasting Panel, plus you’ll receive comprehensive tasting notes and fascinating insights into each region. Visit our Regular Deliveries page to find out more! Plan the perfect escape to the Hunter Valley wineries and cellar doors with our carefully curated guide, list, and map to this premier wine region. There’s a fantastic range of Hunter Valley cellar doors to visit within a two-hour drive from Sydney or a 40-minute trip from Newcastle. To help plan your trip to this dynamic wine region , we’ve selected a collection of wineries that provide the best cellar door experience, plus we’ve included a handy interactive map below. While the region is famous for its Shiraz , Chardonnay and Semillon , there’s also a stunning selection of innovative new varieties on offer. You can also find out more about the region in the Hunter Valley guide we’ve put together here. HUNTER VALLEY WINERIES LIST With so many great cellar doors in the region, we’ve grouped our list into journeys through the region along the Hunter Valley’s iconic roads. Take a trip from Pokolbin to Broke with a sojourn along Hermitage Road to visit the world class wineries of Tyrrell’s, Margan, De Iuliis and Andrew Thomas Wines on the alluvial flats. Or you can spend the day following McDonald’s Road through the heart of Pokolbin to visit the myriad of innovative wineries for which the Hunter Valley is renowned.